I've been playing soccer since time immemorial, and so I grew up experiencing soccer constantly in certain contexts, and not at all in other contexts. I remember my dad recording World Cup games on dozens of VHS cassettes, so that we could re-watch them after the matches were over. He would always squirm a little if the matches went over time, because there was a good chance that the end of the match would get cut off. It's only more recently, though, that I've started to frequently bump into soccer where I didn't expect it. The vuvuzela craze in 2010 was one example. 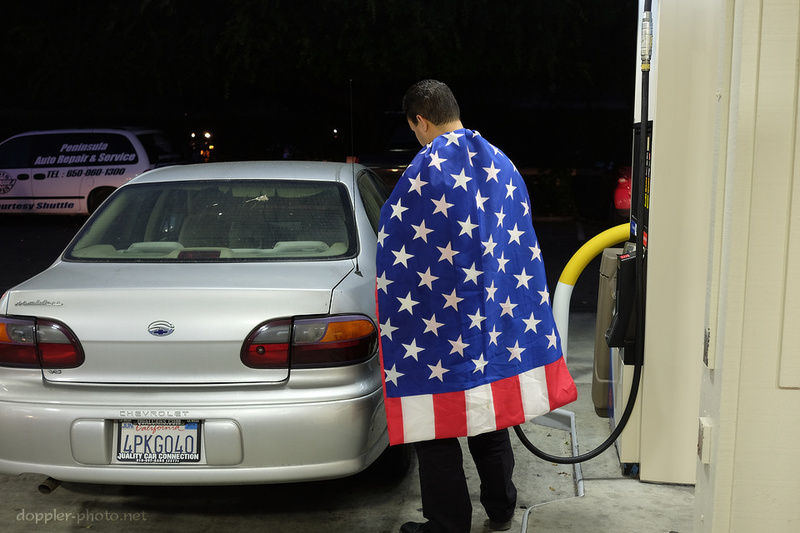 This year, I bumped into this guy at a gas station, still wearing the US flag after the US team's 2-1 victory over Ghana. Many of the games air at work also, and conveniently, some of the matches happen during lunchtime. Moreover, I think the match scheduling has made it sufficiently convenient to watch matches, that I imagine a lot of people are watching simply because it's on and available, rather than because they have a specific interest in soccer. That's a good thing for the sport, simply because some number of people will discover an interest in the sport that may not have been piqued otherwise. 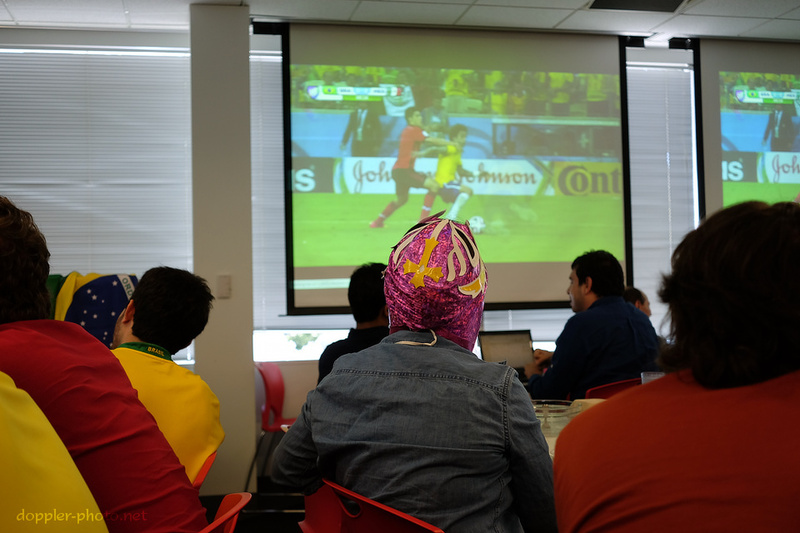 It's a lot easier to show up at work and watch Brazil-Mexico at lunchtime than to specifically make time to catch a 4:30 am or a 7:00 am match during the 2010 World Cup. Also, when you watch an unfamiliar sport with fans of that sport, simply hearing them chant and whine and gasp can give you some idea of which parts they find interesting. Hearing the room erupt in applause after each of Ochoa's brilliant saves is an easy signal that something extraordinary just happened. 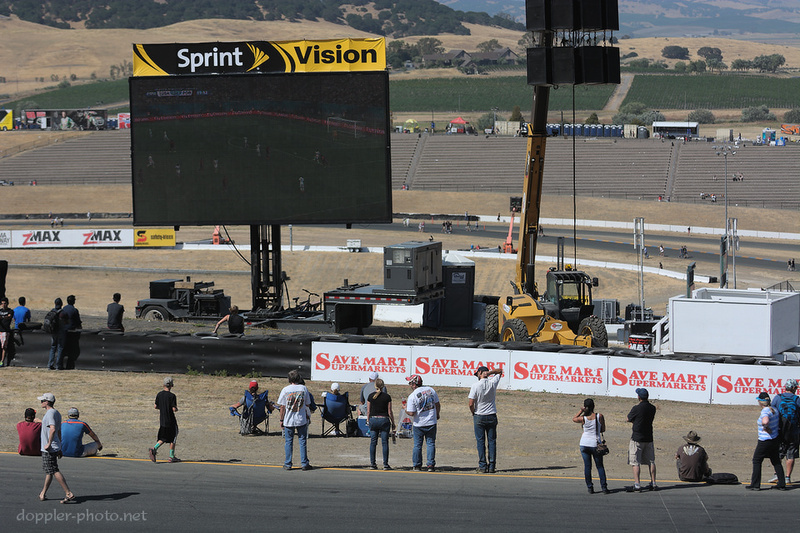 So imagine my surprise when I went to my first NASCAR race, the Toyota/Save Mart 350 at Sonoma Raceway on Sunday, June 22nd, and they announced that they'd be showing the USA-Portugal match on the big screens after the race had finished. 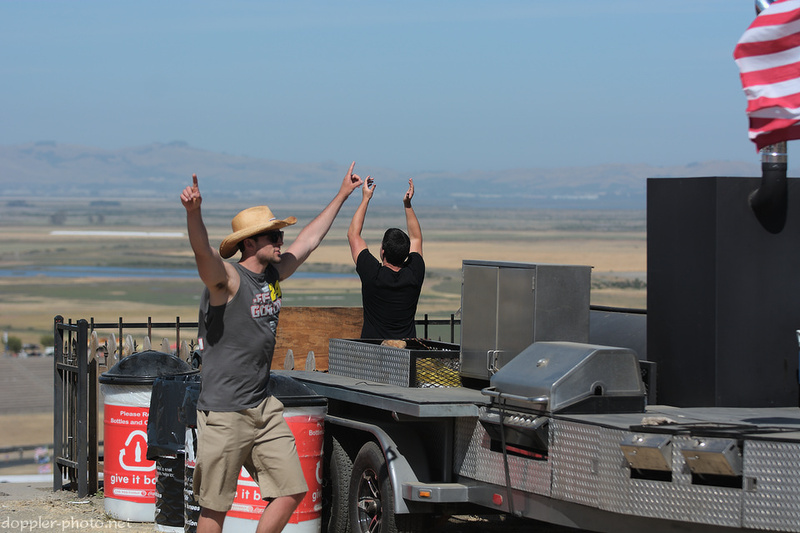 The cognitive dissonance was pretty intense, but my reaction also demonstrates that things are changing. There's a level of cross-pollination going on that was previously unimaginable.